If you’re serious about learning what’s causing your bad breath, consider scheduling an appointment with your dental professional. Given your full medical and dental history along with an oral examination, your dentist should be able to identify the culprit. 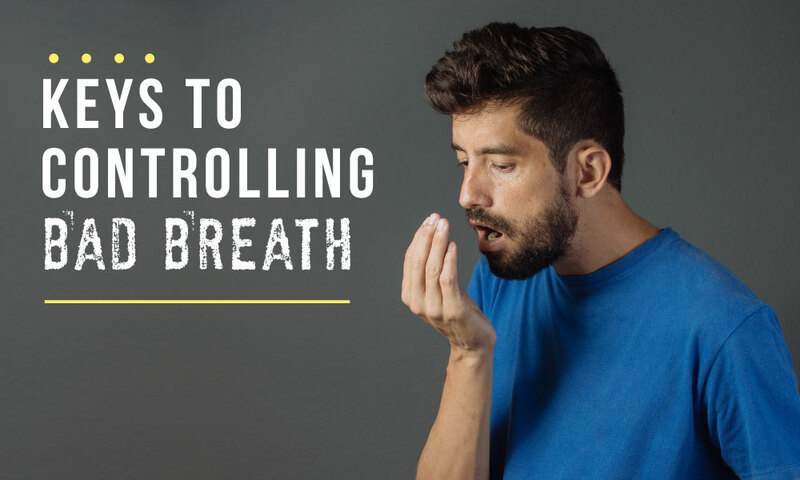 The causes of bad breath are numerous and include certain foods, alcohol or cigarettes, poor oral hygiene, periodontal disease, diabetes, dry mouth, sinus or throat infections, lung infections or abscesses, kidney/liver failure, gastrointestinal issues and severe dieting. Consult your dentist or dental hygienist when choosing oral hygiene aids to help you eliminate plaque and odor causing bacteria and review the techniques that should be utilized at home. Also, ask your dental professional what oral hygiene care products they would consider you use to help eliminate bad breath (antibacterial toothpaste, antiseptic mouth rinse, tongue brushes or scrapers and interproximal cleaning devices). The key to a clean, fresh mouth is optimal oral hygiene conducted at home on a regular basis and professional recommendations discussed with you by your dentist.